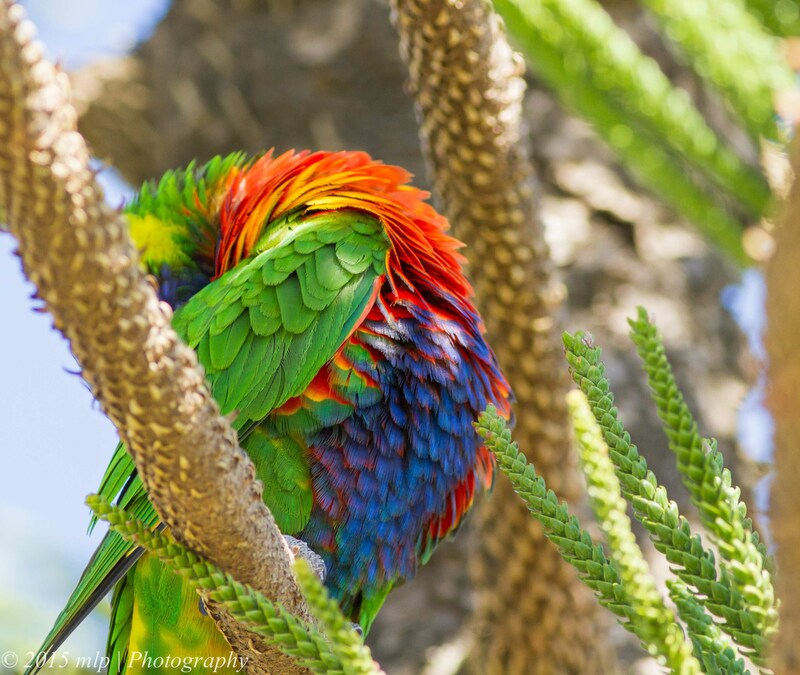 Colours are the smiles of nature…. 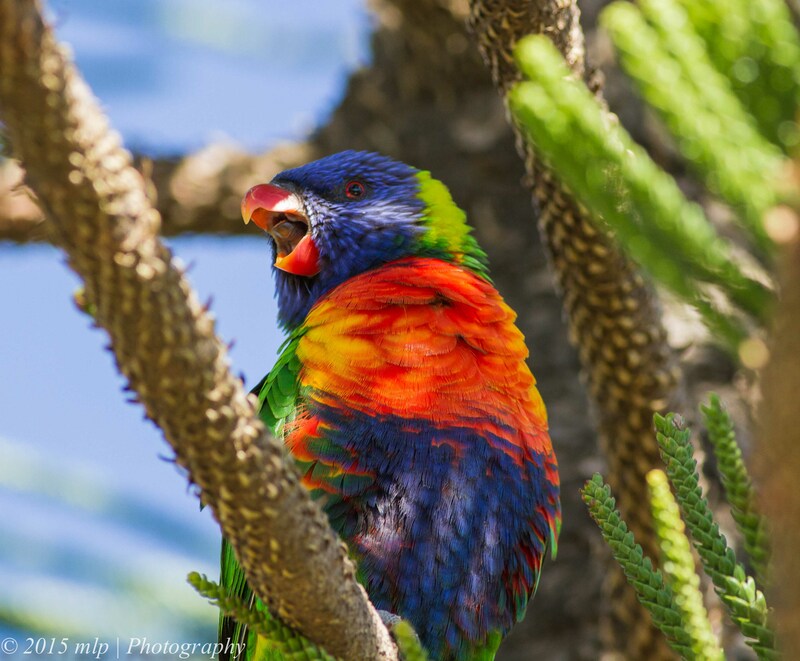 And when it comes to colourful birds there aren’t many, if any, in my area that can beat a Rainbow Lorikeet. 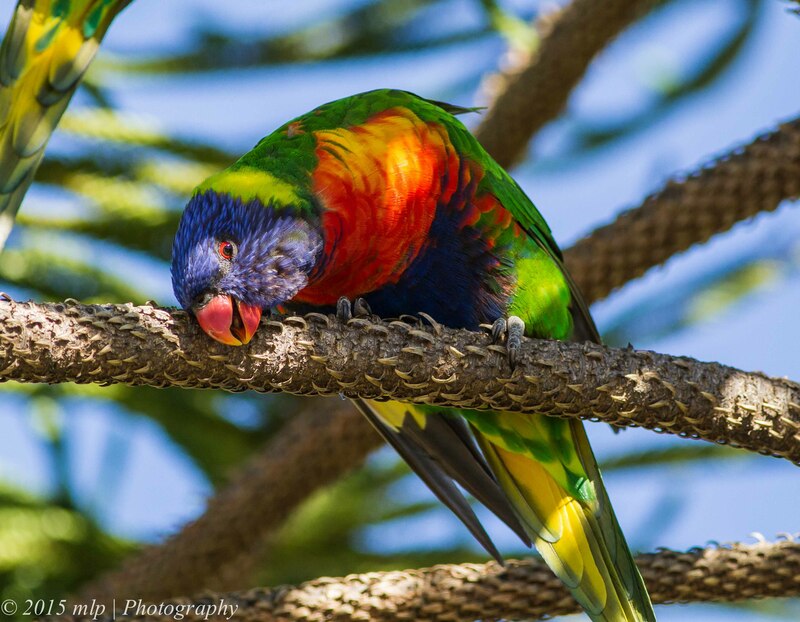 They are a gregarious species that have become the main parrot of the Melbourne Suburbs. Not that many years ago they were found further out in the country-side but the last big 12 year drought ended a few years ago and the result was an influx of birds and some decided to stay. 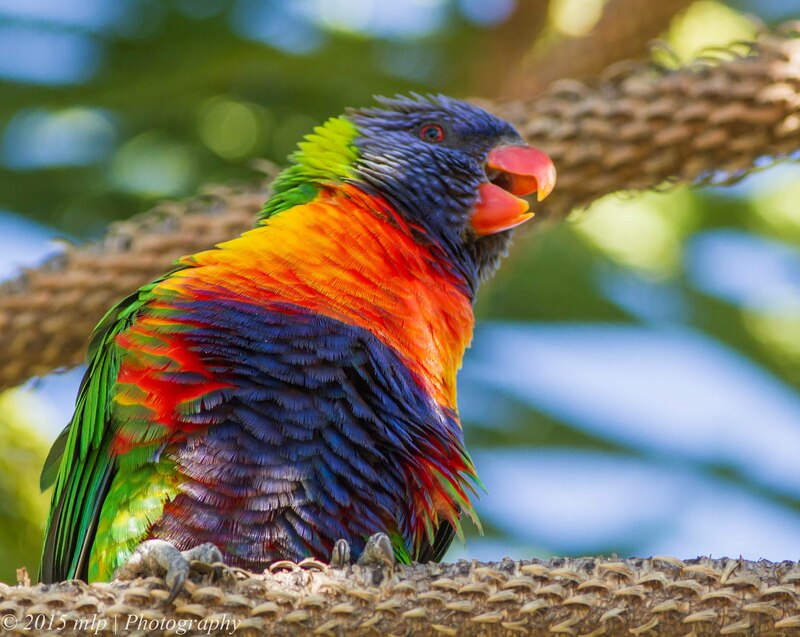 The Rainbow Lorikeet has grown in numbers and now can be found in most areas. Even with all the colours, excitable chatter and feeding noises, once they are quiet and sitting in a gum they are invisible. 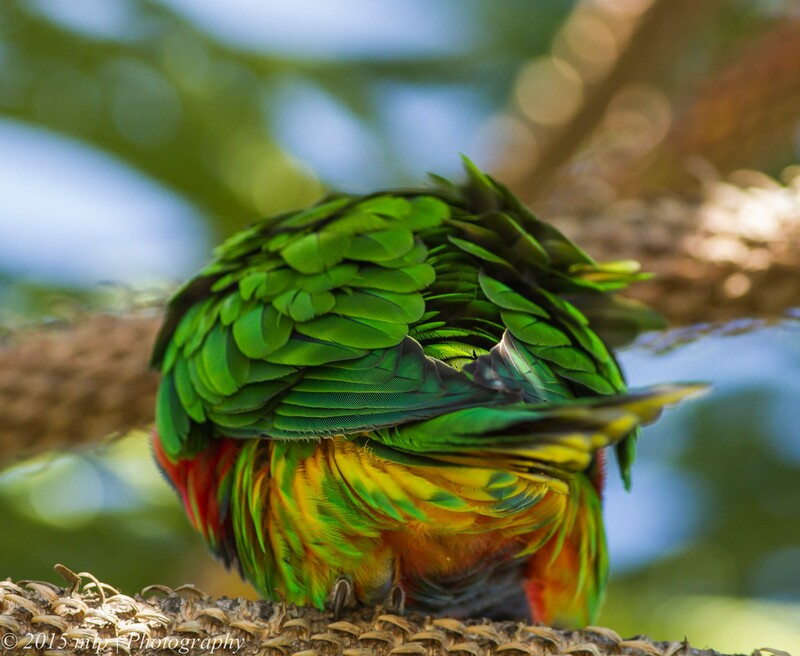 Their colours are rich underneath but from above are an almost uniform green: good for camouflage and hiding from raptors. I found this pair in a road side Conifer along St Kilda/Elwood beach grooming and just enjoying themselves on a warm Autumn afternoon. 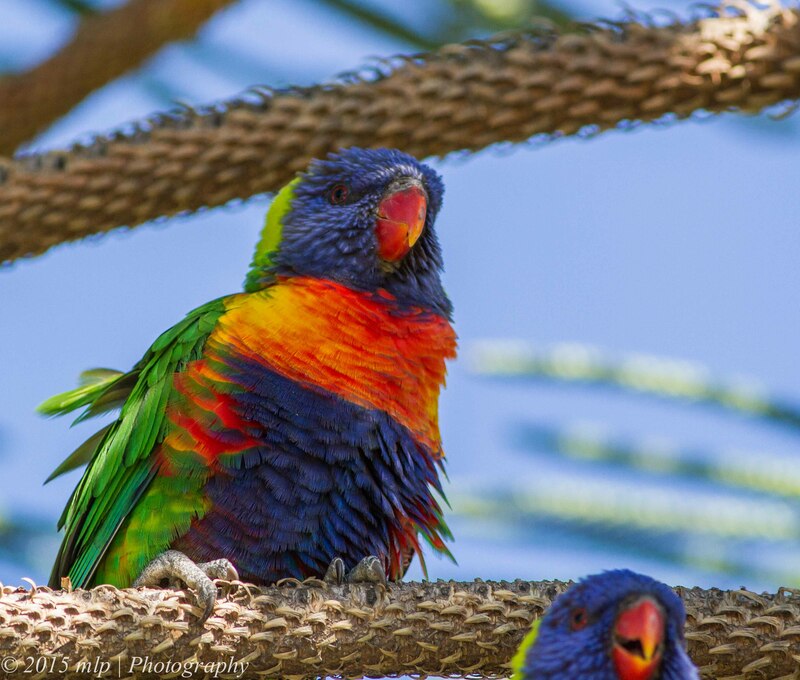 This entry was posted in Birds, Victoria and tagged Australian Birds, Bird Photography, Nature Photography, Photography, Rainbow Lorikeet, St Kilda Beach, Victoria. Bookmark the permalink.